1) What happens during an AuraTransformation™? First, some background information: From the perspective of AuraTransformation™, humans are viewed as various forms of energy that are in constant motion. The visible part (the body) is a manifestation of the invisible and partially visible energies that surround and permeate the physical body. In the aura we have invisible energy, which is a combination of pure spirit and partially visible energies. The partially visible energies include things like our thoughts and feelings, hopes and wishes, and all forms of patterns and emotions. Sometimes old patterns and emotions can influence our lives more than we want them to. Archetypal themes such as not being able to draw the line; not respecting the free space of others by trespassing or violating it; not daring to do what you want to do or to be yourself because of the expectations of others; not experiencing your dreams materializing; and fear, guilt and low self-confidence are all vibrations in the aura and can be seen mirrored in the physical body and in your life circumstances. With an AuraTransformation™ you get a very deep and thorough cleanse of the entire aura field. This creates room for the unfolding of the spirit energy which is seated in the higher mental body. The lower energy bodies in the aura give way to the spirit energy. This is the pioneering and groundbreaking point about AuraTransformation™, because it allows a giant step into a consciousness level that many only occasionally have contact with. To be in constant and direct contact with one’s spirit is what everybody consciously or unconsciously seeks to achieve. When you get a consciousness expansion by having an AuraTransformation™, you also get stronger and clearer intuition that helps you to know what is good for you and what is not. How strongly this will find its expression depends on your environment, as well as who you are as a person and where you are in your life process with your own personal development. 2) What is the normal process following an AuraTransformation™? This depends on who you are as a person and your individual circumstances. Some people experience a deeper inner peace; a stronger presence in their lives; more harmony and balance; liberation and happiness; a clarity and consciousness about the fullness of life; and a deeper joy and gratitude for being alive. Others experience some chaotic days where they move from one extreme to another with their thoughts, feelings and emotions. Some get tired and need to rest for a period of time, while others get energetic and may start to clean up in various areas of their lives. Experience shows that the first 3 months following an AuraTransformation™ is an adjustment period where you find your new stand within your new awareness, from where you will work with your ongoing life process. After a while everything calms down and the love you give to yourself during this phase and beyond becomes your manifestation power for a future life in balance. 3) Is there a way back if I regret having done the AuraTransformation™? No, an AuraTransformation™ cannot be undone. However, it is possible to weaken the protection and the magnetism in the new balance body if that is what is wanted. If you are unsure if you will be capable of managing the new freedom in life that is an inevitable result of an AuraTransformation™, then it is better to wait before having an AuraTransformation™. If that is the case, you are not ready to let go of the security that for some people is desirable when they live in limited or restricted relations. It can be hard to understand that some people would wish to come back to the old ways once they have experienced the new flow of life that comes in conjunction with an AuraTransformation™. However, if the need arises, it is always possible to choose the old lifestyle alongside the new awareness. 4) Will I have more self-love and self-confidence after my AuraTransformation™? The love of self comes with an AuraTransformation™ because you embrace your deepest essence. You will come to feel, know and intuitively understand yourself far better. However, don’t confuse this with self-confidence. To develop solid self-confidence takes practice. However, a deeper sense of love for yourself grants you a special overview which naturally goes hand in hand with true self-confidence. 5) Will all my problems get resolved by having an AuraTransformation™? All of your problems will not get resolved by having an AuraTransformation™. However, you will get increased intuition, drive and willpower, which is very helpful as you work on your on-going personal development. How powerfully this expresses itself depends on you as a person, your intentions, your focus, and where you are within your own life process. An AuraTransformation™ brings you into closer contact with precisely those feelings and thought patterns that need to be resolved and therefore also need your love and attention. As mentioned earlier, you will more easily recognize what is good for you and what is not. Furthermore, you will recognize where your boundaries and your personal energy have been trespassed upon earlier in life, even though this may have been on an unconscious level. It is not necessarily fun to see and to feel the areas in your life that you may not be proud of, or where you may have let yourself down. However, this is often necessary so that you can be prepared to act more consciously in potential similar situations in the future, and in so doing, transform the undesirable pattern. Therefore, it is important that you make it a priority to give yourself time and space to practice mastering the new you. An AuraTransformation™ does not diminish your personal responsibility for your life and for your on-going development. Instead, it shows you where you need to take responsibility in your life – particularly in areas that you may not previously have been able to see, or be aware of. 6) Will I be cured from physical diseases and mental imbalances if I get an AuraTransformation™? AuraTransformation™ is not a substitute for qualified health care for the physical body and/or the mind. AuraTransformation™ is intended for people who are relatively stable in their physical and mental health. It is certainly not intended to cure diseases. Furthermore, it is especially important not to get an AuraTransformation™ when emergency professional help is needed. 7) I have suffered from depression before, but I would really like to go through with an AuraTransformation™. Is this ok? If you are currently suffering from depression, it is not advisable to go through with an AuraTransformation™. If however you are in a period without depression and without medication, and if you and your doctor both agree that you could have an AuraTransformation™, then you could consider having one. 8) If a person has clairvoyant and healing abilities, how will an AuraTransformation™ affect this and how will it affect their spiritual development? The term ‘clairvoyance’ refers to a special ability to be sensitive toward certain non-physical energies, but the ability does not have anything to do with how far one has come in one’s spiritual development and maturity. To most people however, Clairvoyant abilities are considered superhuman. Clairvoyants are often credited with having great spiritual insight and maturity simply because they are capable of reading other people’s minds, getting messages from other dimensions, perceiving what is happening in other places, or seeing what can take place in the future. However, clairvoyance and having an expanded consciousness are NOT the same thing. Nearly all clairvoyant people on earth today are clairvoyant on the astral level. This ability functions from the Solar Plexus chakra, where people’s emotions and life maps on the soul level can be seen. There are only a very few people who are clairvoyant on the spiritual level, where people’s consciousness and their full energy potential can be read. When you have an AuraTransformation™ your intuition and higher clairvoyance on the spirit level will increase and unfold in a natural process of growth. Therefore, you do not suddenly lose the clairvoyant capacities that you had prior to the AuraTransformation™. Rather, they become more refined within a new context. Also, you are protected by the new balance body, which prevents nervous sufferings or burnouts. These have unfortunately been common for many ‘light workers’ who have had their astral energies fully opened up. In regards to healing abilities, these will increase powerfully after an AuraTransformation™, simply because you have access to much higher energies than what was possible before. 9) Why do some have an easier time in the period following an AuraTransformation™ than others? This is often karma-related. If for example you have been less influenced by karma than others; have already worked a lot with your own personal development; and are close to the end of your karmic cycle, then you will adjust to the new way of being that comes with the new aura more easily than someone coming from a different background. If you have been more heavily influenced by karma, then this period is more difficult. 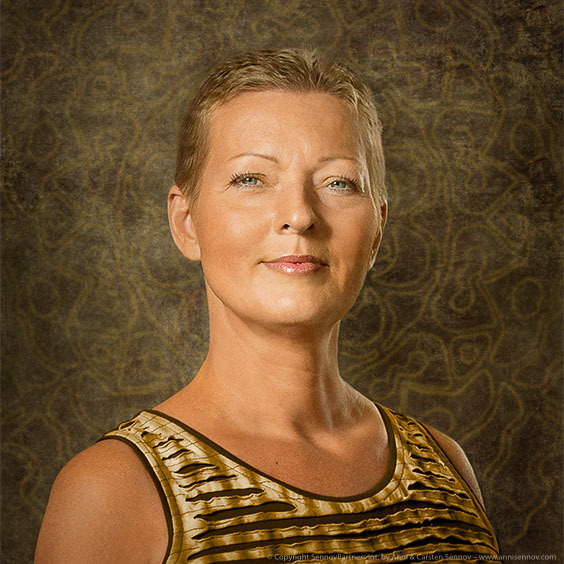 Some people have seen that the first 3 months following their AuraTransformation™ can be the most turbulent. If so, you can follow up your AuraTransformation™ with one or more Balancings from an Aura Mediator™. This can ease and facilitate the process. Another factor determining how long it takes for you to get confident and familiar with the conditions after your AuraTransformation™ has a lot to do with how much you dare to stand strongly as a person in the values of your new expanded consciousness. 10) I have had an AuraTransformation™. How can I be sure that I am karma-free, when I still think and feel very strongly that I am influenced by karma? Yes, you are karma free. Karma sits in the astral body which gets dissolved during an AuraTransformation™. What you are experiencing can be your dharma, which has to do with your life purpose and comes to the forefront when all of your karma is cleared out. It can take time before the mind and body understand that the karma has gone away, and some themes need to be released from the deepest memory pockets of your body and mind. During this adjustment period, your entire being is about to adapt to the new conditions and freedom and this can, in some situations, create a certain amount of stress, as changes very often do. This can seem like karma even though it isn’t. Also when you have an AuraTransformation™ you naturally increase and lift the energies around you. Sometimes this can really surprise you because this can create some very strange reactions from those around you, but this has nothing to do with karma either. Being karma-free re-sets your karma back to zero and from that point on, all of your thoughts, actions and words will have very rapid returns and responses. The consequences of this will, therefore, be felt very quickly; much more so than before your AuraTransformation™. This intense cause and effect relationship can also seem to be like karma but it is not. The common theme here is that what seems like karma is actually the opposite of karma, because it is simply the stress from the readjustment period, which is actually setting you free from the karma that you are feeling. 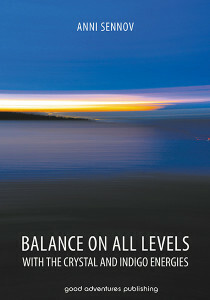 All people are advised to read the book Balance on All Levels with the Crystal and Indigo Energies by Anni Sennov before making the decision to have an AuraTransformation™.